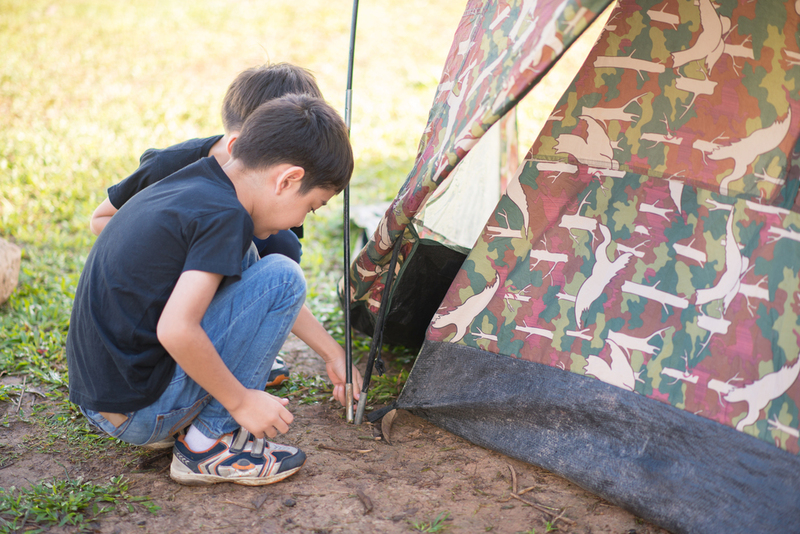 Camping is probably the best way to get your little ones acquainted with the great outdoors. 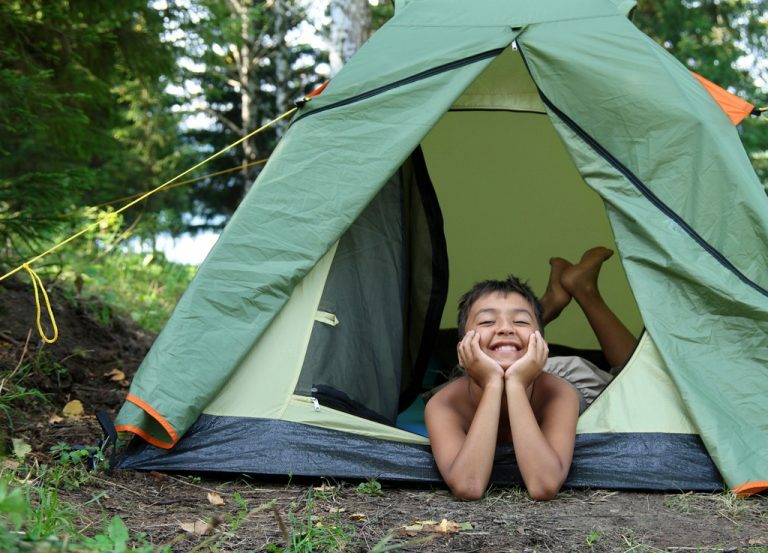 Our handy guide tells you how and where you can go camping with your family right here in Singapore. What’s not to love about camping? It brings you closer to Mother Nature, lets you unwind away from the hustle and bustle of the city and allows you to introduce your children to the great outdoors! Best of all, it won’t burn a huge hole in your pocket. A short camping trip over the weekend is perfect for keeping little hands away from smart devices and busying them with pitching a tent instead. Oh, and it’ll build character in the long run too! Before you begin psyching junior up, consult our ultimate guide to camping with kids on our little island. We tell you how to get started, what to pack, and where you can pitch a tent in Singapore. Not quite up to the challenge of pitching a tent from scratch yet? We offer you an easier way out – see what it is all the way at the end of this guide! How does sitting back and relaxing in the shade of towering palm trees while watching the kiddos have a ball of a time building sandcastles on the beach sound? Heavenly, yes? You can do that and more when you camp with your children at East Coast Park. If your family is a sporty one, have a go at sports like beach volleyball, cycling, cable skiing and inline skating. Don’t forget to let the kids go wild at the sprawling playground at Marine Cove! When the sun sets, gather around the barbecue or be spoilt for choice by the variety of local fare at the nearby eateries while enjoying the cool sea breeze. Do note that camping is only allowed in Areas D and G of the park. 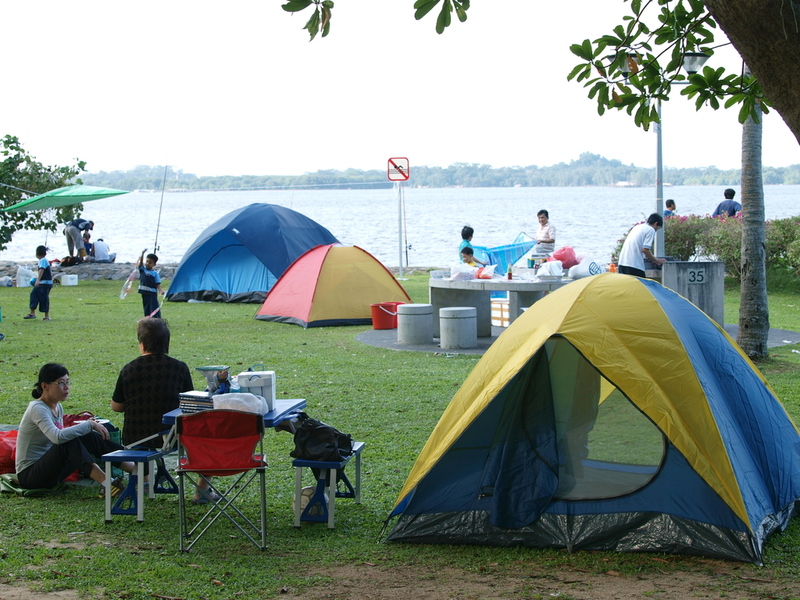 If you’re a family of nature lovers, Pasir Ris Park is where you’ll want to camp at. You can see up close the beauty of the mangrove forest and get close to its inhabitants by embarking on the Mangrove Boardwalk and many other nature trails. There’s also a three-storey Bird Watching Tower located within the mangrove forest to let nature enthusiasts observe our feathered friends in their natural surroundings! Kids can also run loose at the large playground in the park. Other activities for campers here include pony rides, water sports, cycling, rollerblading and nature photography. You are only allowed to pitch tents at Areas 1 and 3 of Pasir Ris Park. The great thing about camping on Pulau Ubin is that you don’t require a permit. The downside? It’s not on the mainland. But fret not, for it won’t cost you much. You can take a ten-minute bumboat ride from Changi Point Ferry Terminal to Pulau Ubin for just $3 per person (one way). You’ll have to wait for the bumboat to fill up with twelve passengers before departing, unless you’re willing to pay the full amount of $36 for just your family. 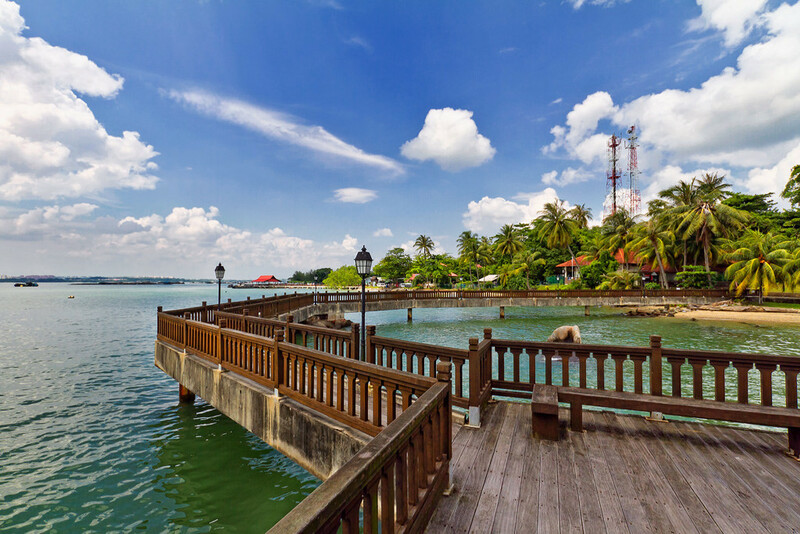 Feel free to explore the two beaches on the island – Mamam Beach and Noordin Beach – and don’t forget to visit Chek Jawa Wetlands, an ecosystem consisting of six major habitats. Do be wary of wild boars and monkeys; as long as you refrain from disturbing them and do not show them food items, you’ll be fine. What’s the best way to get around the island? On a bicycle, of course! You can rent one from as low as $5 – there are lots of bicycle rental stores available. Remember to test the brakes on everyone’s bicycles before setting off! As tap water on Pulau Ubin is not safe for drinking, do stock up on bottles of mineral water as necessary. You can buy water and snacks from one of several shops on the island. Oh, and do make your way back to your tent before dark as there aren’t any streetlights to guide you once the sun sets. Here’s a camping location sure to delight those dwelling in the West of Singapore. Camping is only permitted in Area 3 of West Coast Park and that’s also where the Adventure Playground happens to be! It’s made up of eight play sets and even has obstacle courses for little ones who love a challenge – there’s no doubt it’ll be a hit with kids children and their parents alike! Bird watching is another interesting activity available to campers here. Take a stroll to the Marsh Garden and see if you can spot the White-breasted Waterhen or the lovely Striated Heron! West Coast Park is also a popular spot for kite flying enthusiasts. If that’s your cup of tea, then pack your kite and head to the Grand Lawn, an open field of about three hectares, where you can have fun flying it. 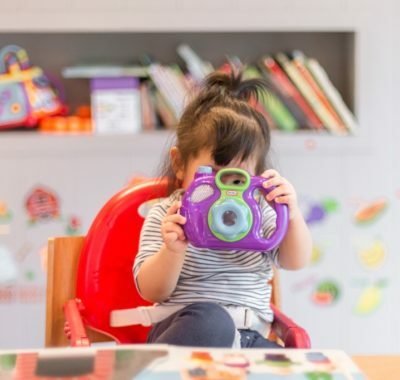 Why not go a step further to introduce your hobby to your kids? 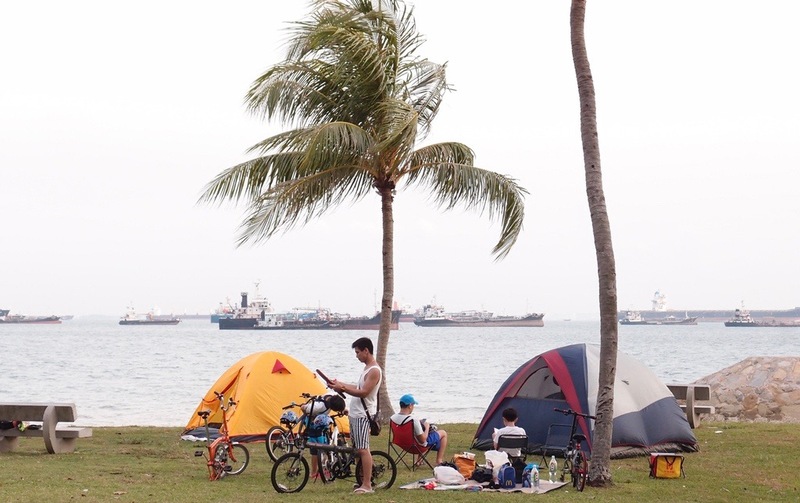 If you’re intending to set up camp at East Coast Park, Pasir Ris Park or West Coast Park, you’ll first need to get a permit to do so. You can apply for one online or do it at any AXS station near you – yup, it’s that simple! Remember to read the Terms & Conditions carefully when you submit the application and get it done at least three days before your camping trip. 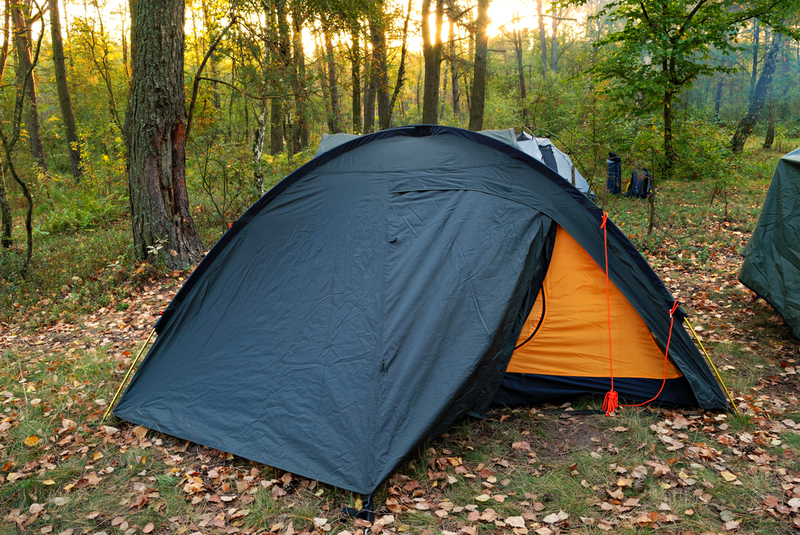 The permit will have to cover the number of days you intend to pitch a tent for, not the number of nights you will be spending at the park. So if you’re camping from Friday evening to Sunday afternoon, you’ll need to apply for a three-day permit. You don’t need a permit to camp at Pulau Ubin. This one goes without saying, we suppose. You’ll need a sturdy makeshift home that can house everyone in your family comfortably. Not sure where to get one? You can start by browsing the affordable collection at Decathlon. Our weather can be rather unpredictable at times, so be sure to get galvanised steel pegs to fasten your tent to the ground in case of strong winds. If you already own a tent and it isn’t waterproof, invest in rain flies should the skies turn dark. Given our mostly warm climate, it would be sensible to pack thin sleeping bags that come with minimal padding. Not too fussy about comfort? Ditch the sleeping bags then – you’ll be surprised that grass can make a decent mattress! If you’re the sort who prefers to sleep uncovered, a foam camping mat or even old bed sheets will suffice. As for pillows, if you don’t have the luxury of a car boot, pack some inflatable ones in different sizes for yourself and the kids! A portable LED lamp or a good ol’ fashioned torchlight will come in handy for the nights. Lamps can help to keep insects away while handheld torches will help you find your way to the toilets in the middle of the night. Make sure you’ve popped in the batteries first! It’s always summer in Singapore. And you know what that means – mosquitoes and other insects will be lingering around your campsite whether you like it or not. Keep them at bay with spray-on insect repellent or stick-on patches for the kids. 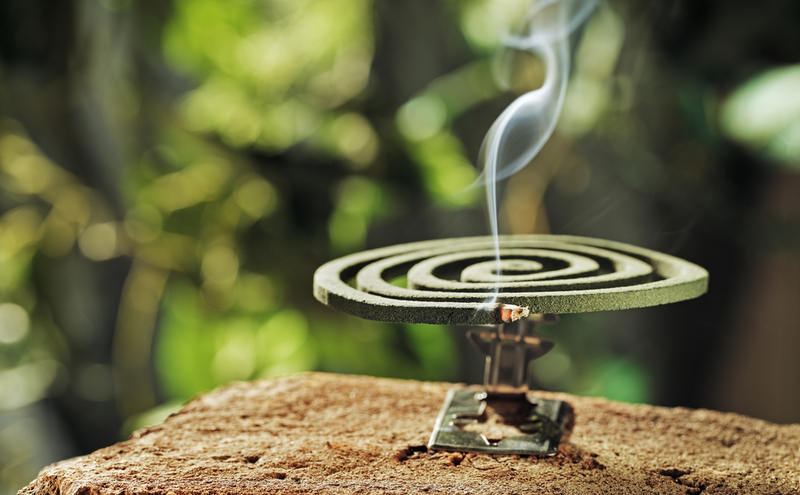 Placing a lit mosquito coil just outside your tent can also aid in warding off the uninvited visitors. Where children are concerned, wet wipes are an essential. They are perfect for a quick wipe-down when you’re feeling sticky on a humid day or to sanitise junior’s hands before he sinks his teeth into a snack. Although there are sufficient public toilets near each campsite in Singapore, you just never know when the cubicle you chose might run out of toilet paper. So, better to be safe than sorry, yes? No need to go overboard with the loo rolls though – pack just enough according to your family size and the duration of your camping getaway. To stay healthy when you’re out in the great outdoors, hydration is key for both kids and grown-ups. It would be a good idea to always have an adequate supply of bottled mineral water in your tent. Pack some snacks for all in the clan in case of those midnight hunger pangs! If you think your kids might get bored in a tent in the middle of a park, especially after sunset, it might be a good idea to get them to pack their own entertainment bundle. Think storybooks, magnetic board games and card games – strictly no smart devices! The point of camping is, afterall, for kids to bond with mum and dad while steering clear of technology. You just can’t predict when you might be caught in a downpour on our little red dot. And you most definitely wouldn’t want your little ones or yourself to be stuck in wet and dirty clothes. So be sure to pack an extra set of clothes for everyone in the family along with some plastic bags to keep the wet ones in. So you’d love to take the kids on a camping trip but you’re just totally put off by the idea of sourcing for the appropriate equipment and setting it all up under the sometimes merciless sun? Also, you’re not too sure if the kids will want to make it a regular family activity and are hesitant about investing in expensive camping gear? Camp Kaki to the rescue! 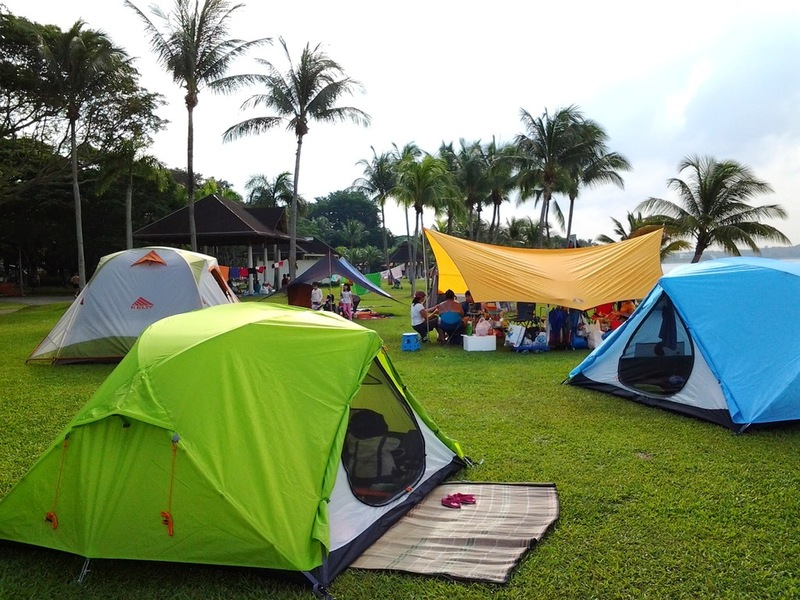 The company based in Singapore is a one-stop solution for all your camping needs. Camp Kaki’s Value Plus package starts from $170 and is ideal for a family of four (two adults and two kids). What do you get for that price? A standard tent, double sleeping pad, single sleeping pad with an inflatable pillow, two adjustable pillows, three throw blankets, a portable fan, LED light, two deck chairs, and even a welcome tea! Oh, and most importantly, Camp Kaki’s service staff will be present to deliver, pitch, strike and clean all equipment before and after your camping experience. Sounds good? Other items that are also available for hire for an extra fun camping trip include BBQ equipment (from tongs and charcoal to wire mesh and trash bags) and an entertainment set (ball, frisbee, bubbles and sparkles). Find it tiresome to settle the applications for camping permits? Camp Kaki can help you out with that too for a small fee. Do note that their services only apply to camping at locations on mainland Singapore – East Coast Park, Pasir Ris Park and West Coast Park. 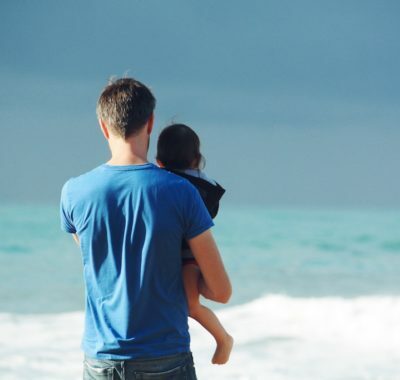 Top 10 Places to Bring the Kids for Dad Dates!